Happy Tuesday Everyone! 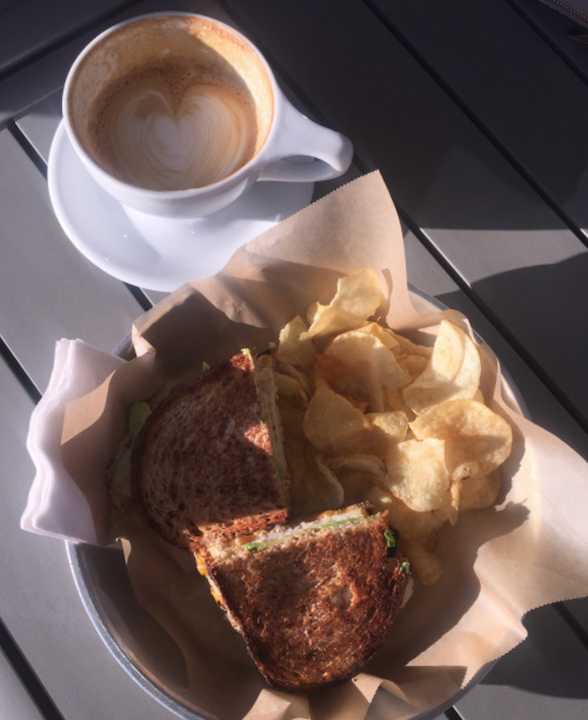 This week’s Tasty Tuesday feature is Jubala Coffee. Jubala is fairly new to Hillsborough Street, but not to the city of Raleigh. Andrew, the owner, grew up in Raleigh and is dedicated to making this city great through his locally brewed coffee and freshly made dishes. He has had much success with his store in Lafayette Village and I am happy that another has opened on Hillsborough Street and that more people will have the opportunity to enjoy Jubala. It has been open for a few months and is located underneath the Aloft Hotel. 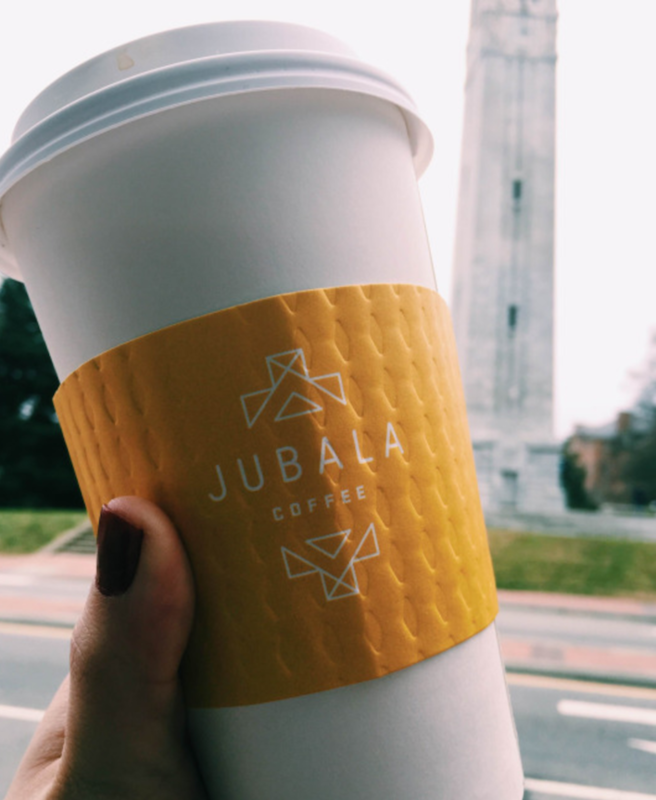 Jubala offers indoor as well as outdoor seating with a nice view of the NC State Bell Tower. They pride themselves on creating a place for people in the community to come together. I’ve been going to Jubala for years in Lafayette Village and was excited for my first visit to the Hillsborough Street location. After a long day of classes and work, my coworkers and I walked down the street to Jubala for a warm cup of coffee. 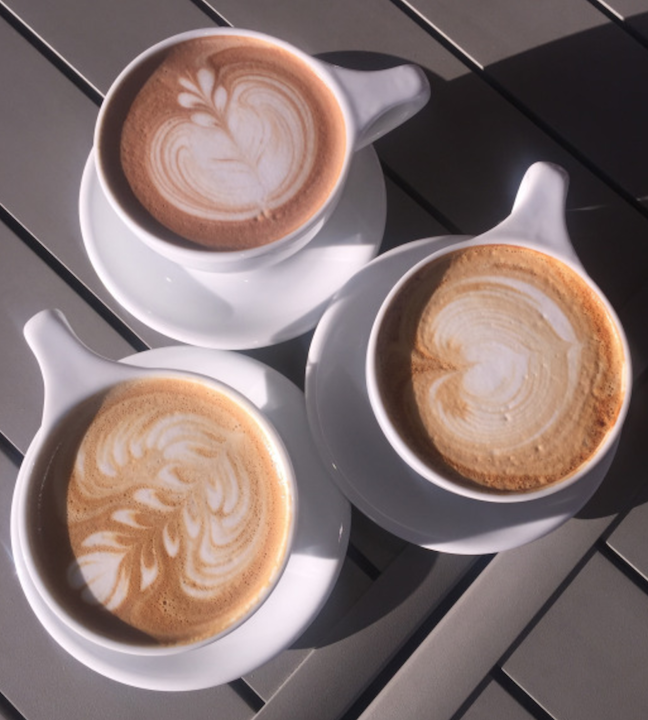 We all three ordered different flavored lattes: mocha, almond butter, and vanilla. Two of us were starving and couldn’t help but order the turkey and avocado sandwich after catching a glimpse of it listed on the menu. It was a warm, fall evening with the sun shining so we decided to sit outside. It wasn’t long until our coffees, which each had their own unique design were given to us. They were so good that we all finished our huge cups within minutes. The latte was creamy and sweet and the service was friendly and polite. 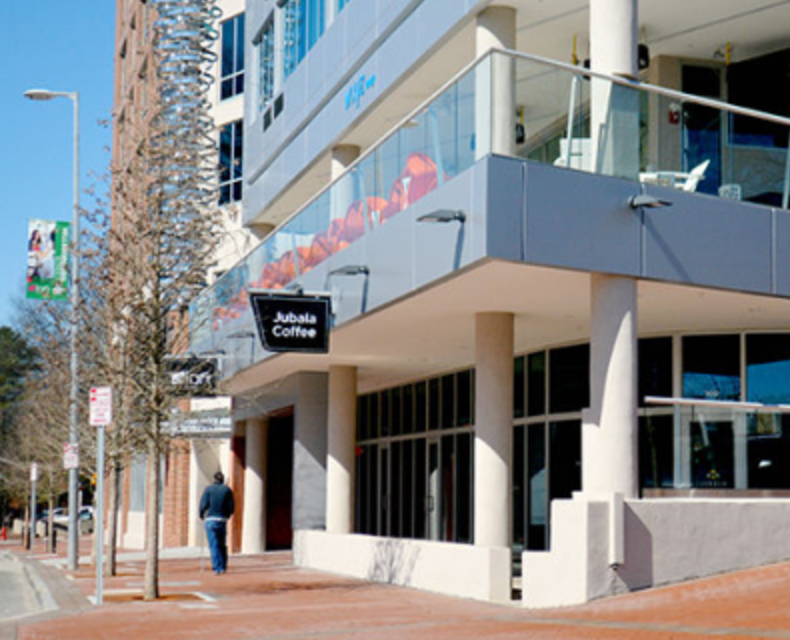 All the coffee from Jubala is roasted by Counter Culture which is located in Durham. Although we drank the coffee quickly, we received our freshly made sandwiches before we finished. The sandwich bread had been toasted perfectly, and was filled with fresh turkey, avocado, and spicy mayo. It was delicious. The side of potato chips paired well with the sandwich and was a great meal to end a long day. Much of the food served at Jubala comes from local farms, which allows them to be able to serve nutritious and natural food dishes. If I haven’t persuaded you to try the wonderful and locally made tastes that Jubala has to offer, then the story behind the store will for sure. While Andrew has always thought of Raleigh to be a special place, it was his second visit to East Africa that created the idea of Jubala. When he was 18, Andrew met a Kenyan man who forever changed his perspective of the world. While taking a drive through the beautiful country of Kenya, he began to see not just the coffee fields that stretched for miles, but also the people who were responsible for caring for the fields and their lack of resources. Seeing the daily struggle the people in his friend’s village went through is what gave Andrew the motivation to help make the world a better place. The trip and his friendship with the man touched Andrew, and so he returned home to Raleigh with the purpose of serving the local community and helping others. For this reason, Jubala creates relationships with local coffee bean breweries, farmers, and others alike. It is a business that is locally owned and operated, that wants to give back to its own community in every way possible. The next time you are having a hard day or need a cup to cheer you up, go by Jubala for a cup of coffee to remind you that the daily struggles of a happy life can be cured with espresso. They are located at 2100 Hillsborough Street, and are open Monday-Friday from 7am-9pm and Saturday-Sunday from 7am-5pm.